Not Your Mother's Math Class: Freaky Friday! $1 Deals Each Friday In October! If you have followed me for the past year, you might remember that last October I joined a group of sellers to offer $1 Deals each Friday in October! We have decided to 'get freaky' again this year! The deals begin THIS Friday- October 2nd! 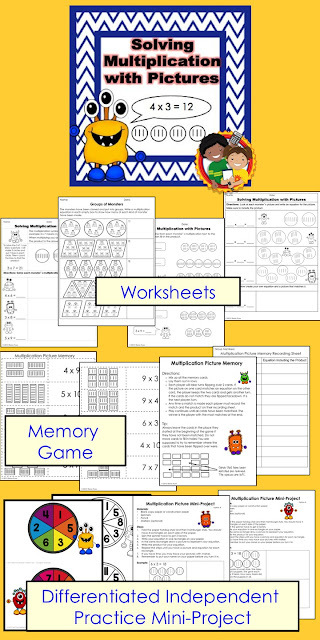 This week you can get my product Solving Multiplication with Pictures for only $1.00! use a spinner to get factors, then write an equation, draw a picture and (if you choose) write a word problem. Be sure to check back next week to find out what Week 2's deal will be!